Did you know the Christmas Cactus (Schlumberga x buckleyi,) is originally from the tropical rain forests in Southeast Brazil? They lived in the treetops, branch hollows and decayed leaves above the ground. So not the hot, dry conditions of the desert as the word ‘cactus’ might make us think. 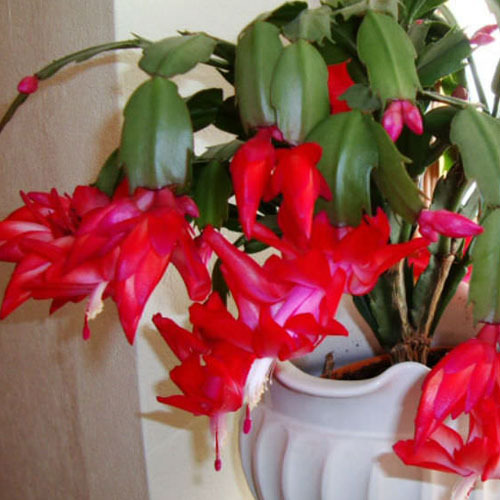 Christmas cactus grow better when they are “pot bound”, or when the container and root system are about the same size. They should also have organic, humus-rich soil. They require bright, indirect light or filtered light and enough moister that potting material does not dry out, but don’t over water. Rainwater or snow melted to room temperature is the best to prevent mineral and salt buildups. So, enjoy the beautiful plant, keep it in bright window light (with partial sun, too much can burn the leaves) and water it moderately over the holidays. The cactus requires frequent and thorough watering, during its active growth in spring and summer, keeping the soil slightly moist. Allow Christmas cactus moisture levels to drop and dry out some between watering intervals, but never completely, and never let the plant sit in water, as this will lead to root and stem rot. Re-potting should be done once a year in a little larger pot with clean organic soil, preferably in the spring. When new growth starts in the spring add a diluted solution of houseplant fertilizer every two to three weeks until the new growth has finished (around mid summer). If you would like your Christmas cactus to bloom again, around mid-September or October you are going to have to start paying attention to temperature and light. Keep the plant at cool nighttime temperatures (10-12˚C) and then warmer daytime (around 15˚C) and you should see buds by December. The plant needs continuous, uninterrupted darkness for 12-14 hours (that means no artificial light at all) and bright to medium window exposure for the remaining hours. But, if the plant is in a room where the lights are even turned on for a short period of time, the flowers might not come. This is why you might see a cactus with blooms on only one part of it. When you start to see buds, the plant can then remain in the window for display and watering you increase. Remember to keep the soil moist but not soggy. 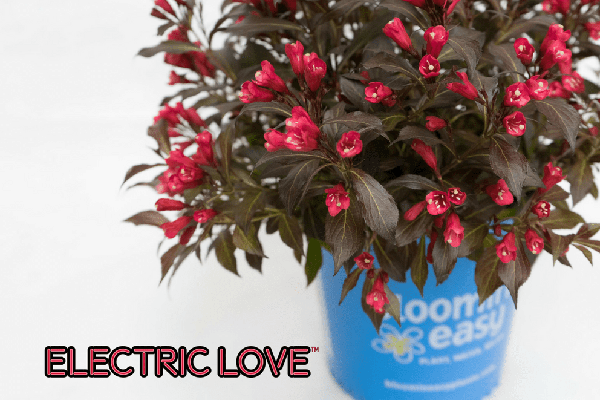 Canada Blooms is pleased to announce its 2019 Plant of the Year – Electric Love™ Weigela from the Bloomin’ Easy® Date Night™ series from Van Belle Nursery. The new Date Night™ Electric Love™ Weigela’s shockingly vibrant red bell-shaped flowers cover dark foliage for a unique look and rich contrast (it’s the first red-flowered, dark leaved weigela on the market). It’s a product of the world’s leading Weigela breeding program and an excellent performer in the landscape. Electric Love is compact and showy, you can easily plant it along a walkway, in mixed garden beds or as the star of a decorative patio pot. And because it’s easy to grow, you don’t need to know a thing about gardening to succeed season after season! Bloomin’ Easy® brings improved, easy-to-grow plants to the time-strapped homeowner. This line offers three simple steps to success: plant, water, and relax. It is easy for garden enthusiasts who are busy but who appreciate the value of a beautifully landscaped yard. The Electric Love Weigela and all Bloomin’ Easy® plants are resilient, colourful and low maintenance, perfect for both the novice and expert alike. The Bobo® dwarf panicle hydrangea has been turning heads since it was first discovered in trial gardens in Belgium years ago! This variety is exceptionally floriferous with a compact frame that is smothered with large, lacy, white coned shaped blooms every summer. Held upright on strong stems, enjoy these large flowers as they continue to grow and lengthen as they bloom. The flowers age to a lovely soft pink and will be a nice addition to a vase on your table indoors too. Bobo is hardy in zones 3-8 and will do best in full to part sun. Since it can take temperatures down to -40°C we know it will enjoy life far north! Expect it to reach a height and width of 2 ½ to 3 feet (just under a meter). 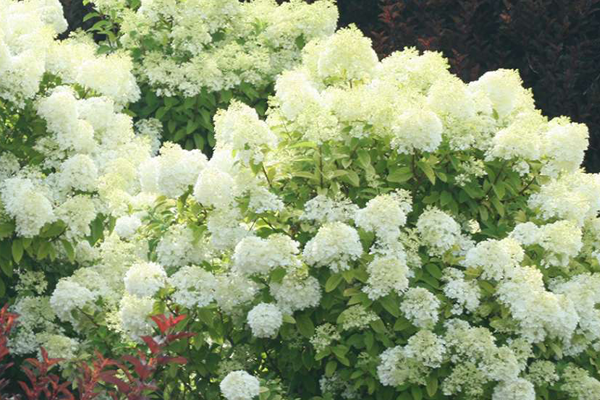 Bobo hydrangea is adaptable to many soils with only moderate moisture needed, and will bloom each summer regardless of climate, soil, pH or pruning. 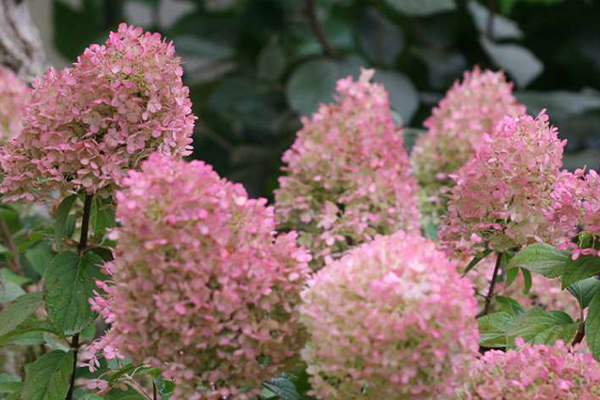 For more information on this hydrangea, and to find a store near you, please visit www.provenwinners.com. I have been married for over 30 years to a wonderful, understanding woman. This story is written with my experience, limited as it is, in mind. As a man, there is no other annual ‘special occasion’ that tempts us to play it safe quite like Valentine’s Day. To be clear, the celebration of our love for those nearest to us causes otherwise sane, bold men with a natural inclination to take risks to merely reach for one of the 3 safest material expressions of our affections: Roses, chocolate and lingerie. I am here to suggest that this could be the beginning of a new decade of giving. One where you extend your desire to please and thrill your sweetie with a gift that truly is outside of the box. One that reflects your sensitivity to her desires. My wife will tell you that I am no Romeo. So let’s reflect together for a moment on the very popular tradition of giving long stem cut roses on Valentine’s Day. We know that this is a crowd pleaser, but then, are you trying to please the crowd or your sweetheart? And what is it that appeals to women about ‘a dozen’ long stem red roses? Why a dozen? Why red? Why cut flowers which die notoriously quickly relative to say carnations –which are cheaper and ‘stand up’ to the test of time for up to a month vs. 7 to 10 days for roses? My answer is that I don’t know. I am a guy too and I am equally paranoid about getting this wrong. We are not meant to know the answers to simple questions like these. Of greater importance is our willingness to explore the limits of our imagination together and who knows, maybe we will come up with something that is greeted as truly memorable. It is not Giving: it is Thinking about the giving. I do believe that it is important to understand this: your thinking of the answers can be more beneficial to your relationship than most anything else. Fact: Cut roses are not a cinch to grow. That is why they are expensive. Suggestion: This could be your cue to make the growing of roses as easy as possible. Give her a rose garden. For the price of a dozen long stems at this time of year (about $60 to $100 for quality ones) you can buy her 4 to 6 rose plants that will grow in our Canadian climate, produce not ‘a dozen’ but dozens of rose flowers at about the same cost. Go One Step Further: Give her YOU. Offer to dig the holes, prepare the soil for planting and if you are a real man, you will plant them for her too. The ‘roses’ are best purchased in the form of a gift card from her favourite garden retailer. Fact: Roses are a product of Nature. Suggestion: maybe roses are not the be-all-and-end-all. Maybe the attraction is the natural beauty of flowers generally. Perhaps the ability of flowers to attract song birds, butterflies, hummingbirds and other wildlife is part of their magic. How about giving her a garden! Yes the whole enchilada. I know that you are not a garden designer, but I can tell you where to find one. Buy her a private consultation with a garden design professional [a member of Landsape Ontario] and let her take it from there. Maybe there will be a new garden in your future, maybe not. The point is that meeting face to face with a pro that has experience and passion for creating beautiful gardens will inspire and motivate your sweetie to plant something different this spring, to prune existing trees and shrubs with confidence, to combine plants that she would never have thought of. Go to http://landscapeontario.com/find-a-company for a comprehensive list of garden designers. Generally they charge a minimum of $200 to $300 per consultation and $60 to $90 an hour. Fact: Roses are exotic. They originated elsewhere. Suggestion: notwithstanding the native ‘wild rose of Alberta’, roses as we know them in the garden originated in far reaching lands. The Greeks wrote about them in poetry, Egyptians referred to them in hieroglyphics found in ancient tombs and the Chinese celebrate the rose as a source of good luck. Give her a journey to another part of the world to see roses as neither of you have seen them before. England is the home of modern day rose breeding. Go to the famous rose breeding grounds of the David Austen Rose garden near Coventry (www.davidaustenroses.com). Tour the rose gardens of Hampton Court (www.hamptoncourt.org.uk/). If the timing works, take her to the annual Hampton Court Flower and Garden Show the first week of July. It is the second largest exhibition of its’ kind in the world (the 1st is the Chelsea Flower Show in London, mid May). Keep in mind that you do not actually have to travel all that far to find great rose gardens. There is a fabulous collection of roses on the grounds of Rideau Hall in Ottawa where many of the winter hardy roses developed in Canada are on display for all to see (for free) and the Experimental Farm in Ottawa offers another colourful glimpse into rose breeding programs in Canada. In Toronto there are some terrific rose gardens including Casa Loma (www.casaloma.org) and the formal gardens of High Park (free admission). One more fact: it is not roses themselves that women love, it is what they represent. More to the point, it is what giving them to her represents. It is, after all, not something most of us do for our soul-mates on a regular basis. So it is the extraordinary gesture of giving roses that makes the positive impression that you are hoping for. One more suggestion: while thinking of giving her the ‘experience’ of long stem cut roses without necessarily giving a dozen of them, consider giving her 2 passes to Canada Blooms. This is the largest and by far the most impressive annual ‘garden event’ in the country. There will be roses, to be sure. Give a couple of tickets to Canada’s premier flower and garden festival, a long stem red rose and maybe a dinner out. What could be a better Valentine’s Day gift? Except maybe your offer to accompany her to the Enercare Centre for the festival. Dates for Canada Blooms are Friday, March 9 to Sunday March 18. If the budget is not too tight who knows, there may be some cash left over for chocolates and lingerie. Spring time is always an exciting time of year, full of possibilities and potential: What flowers to plant in the garden? In what arrangement? And what colours? And, what theme should one choose? The latter is particularly fun, in keeping with the Canada Blooms 2018 theme of “Let’s Go To The Movies”! So, for this festival, Floral Designer Justine De Bouvier, of Fleurishes by JuJu, thought to shake things up a bit and give Hollywood, and the visitors of the Canada Blooms Show, something to remember! Being a floral artist, Justine naturally selected Salvador Dalí’s, “Un Chien Andalou”, as her guiding design theme for this show! When there are no limits to the imagination, there will be no limits to the possibilities of floral design! • Step back and look at the garden or container arrangement as a whole and, add or subtract anything that affects the overall harmonious flow of the arrangement. Beyond these basic principles, anything is possible! Drop in to one of Justine’s demos at the show to learn how to apply these principles and elevate your botanical designs to a whole new level. Alternately, stop by our booth (number H349) to see, firsthand, our principles of botanical design. Hope to see you there! The theme for 2017 is “Oh! Canada” in honour of Canada’s sesquicentennial. Oh! Canada — Canada, a strong and proud country will be celebrating the 150th anniversary of Confederation and Canada Blooms is excited to kick off the Spring gardening celebrations showcasing our theme — “Oh! Canada”. We are inviting our landscape architects, design/build experts and floral artists to dazzle us with their unique interpretations of “Oh! Canada”. Oh! Canada, there is so much to be proud of, and so much to celebrate. So, mark your calendars now and join our celebration — March 10-19, 2017 at the Enercare Centre.